Approximately 2/3 of all packaging is for food and beverages, and about 90% of flexible packaging is used for these products today. 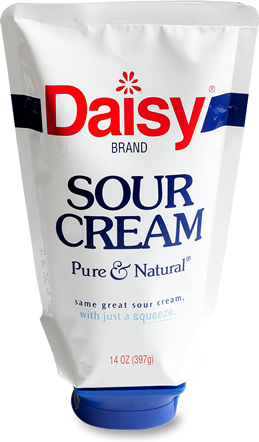 The benefits of flexible packaging are fueling its growth into new product categories as well. 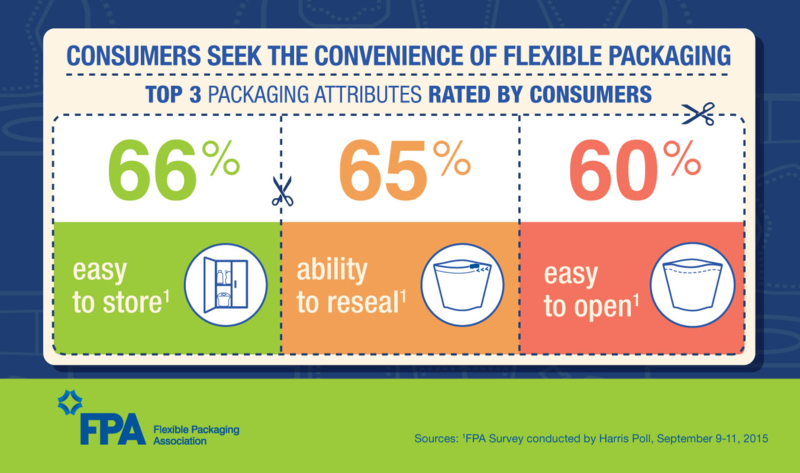 To add perspective, flexible packaging currently accounts for 39% of packaging globally, and about 19% in the U.S. The total global packaging market is approaching $1 trillion annually. Studies have shown that in addition to the product and price, shoppers pay close attention to packaging and the benefits offered. 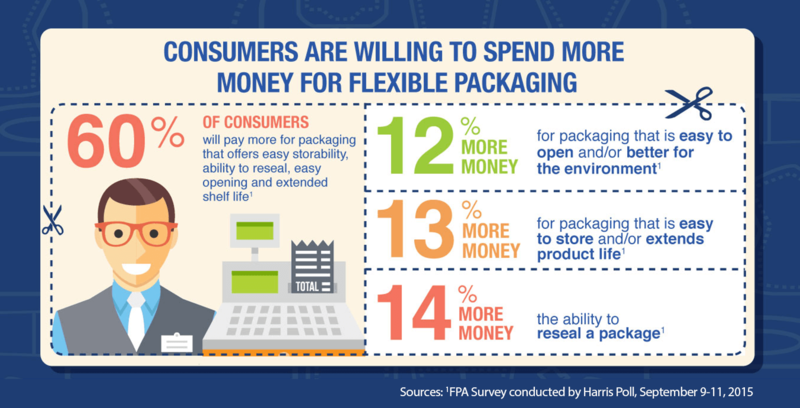 In many cases, people will pay more for flexible packaging that delivers key benefits. Busy shoppers value convenience, product safety, longer shelf life – and brands are working hard to develop innovative flexible packaging solutions that will set their products apart from competitors. 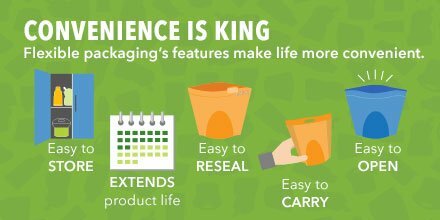 Here are just a few examples of the many clever features that are built into today’s flexible packaging. Chances are, you have enjoyed some of these benefits without ever really thinking about it! Increasingly time-stressed consumers want and need more convenient solutions– packaging that is easier to use and creates less mess. The explosion of e-commerce is adding pressure for companies to develop more efficient packaging for all kinds of products, not just food and beverage. More Americans are concerned about the environment and our impact on it. This in turn is driving retailers and brands to make sustainability and recycling a very real focus in their businesses. Shoppers, particularly millennials, seek transparency in products and packaging and use their voice (social media) to drive change. Shoppers today don’t just buy products and packages, they buy experiences and solutions. Emerging market populations are advancing rapidly worldwide, and they are just now starting to seek the convenience and safety of packaged goods. 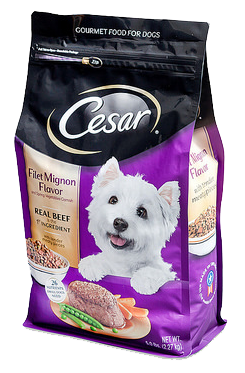 Flexible packaging includes grocery, trash, storage bags, and other types of bags and wraps. For this website, we are primarily discussing the larger segment of the market aptly called “value added” because it is designed and engineered to deliver so many additional benefits. 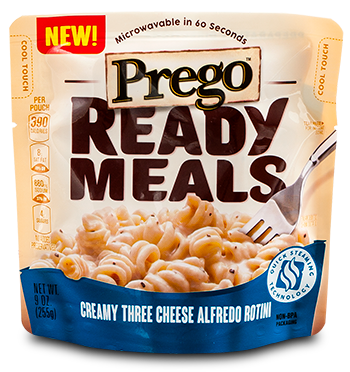 Copyright © 2018 Perfect Packaging®. All rights reserved.